What is the cheapest way to get from Campbelltown to Bathurst Airport (BHS)? The cheapest way to get from Campbelltown to Bathurst Airport (BHS) is to drive which costs $24 - $35 and takes 2h 29m. What is the fastest way to get from Campbelltown to Bathurst Airport (BHS)? 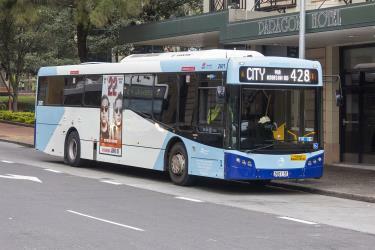 The quickest way to get from Campbelltown to Bathurst Airport (BHS) is to drive which costs $24 - $35 and takes 2h 29m. How far is it from Campbelltown to Bathurst Airport (BHS)? The distance between Campbelltown and Bathurst Airport (BHS) is 130 km. The road distance is 191.4 km. How do I travel from Campbelltown to Bathurst Airport (BHS) without a car? 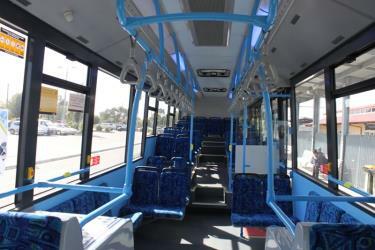 The best way to get from Campbelltown to Bathurst Airport (BHS) without a car is to train and bus which takes 6h 26m and costs $26 - $45. How long does it take to get from Campbelltown to Bathurst Airport (BHS)? 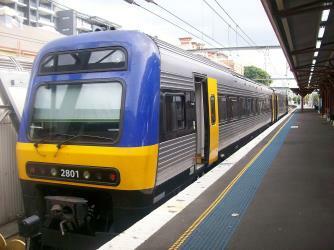 It takes approximately 2h 35m to get from Campbelltown to Bathurst Airport (BHS), including transfers. Train or fly from Campbelltown to Bathurst Airport (BHS)? The best way to get from Campbelltown to Bathurst Airport (BHS) is to fly which takes 2h 35m and costs $150 - $430. Alternatively, you can train, which costs $30 - $55 and takes 6h 29m. How long is the flight from Campbelltown to Bathurst Airport (BHS)? The quickest flight from Sydney Airport to Bathurst Airport is the direct flight which takes 50m. Can I drive from Campbelltown to Bathurst Airport (BHS)? Yes, the driving distance between Campbelltown to Bathurst Airport (BHS) is 191 km. It takes approximately 2h 29m to drive from Campbelltown to Bathurst Airport (BHS). Which airlines fly from Sydney Airport to Bathurst Airport? 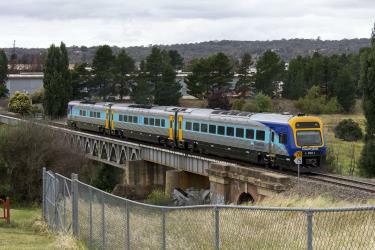 Regional Express offers flights from Sydney Airport to Bathurst Airport. Where can I stay near Bathurst Airport (BHS)? There are 50+ hotels available in Bathurst Airport (BHS). Prices start at $119 AUD per night. What companies run services between Campbelltown, NSW, Australia and Bathurst Airport (BHS), Australia? 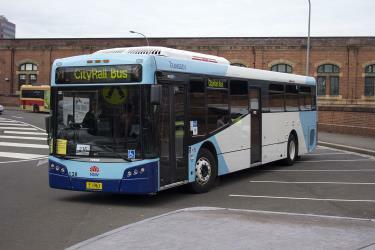 Regional Express flies from Campbelltown to Bathurst Airport (BHS) 3 times a day. 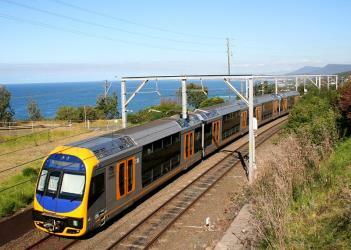 Alternatively, Transport NSW operates a train from Campbelltown to Bathurst Airport (BHS) twice daily. Tickets cost $28 - $40 and the journey takes 3h 10m. 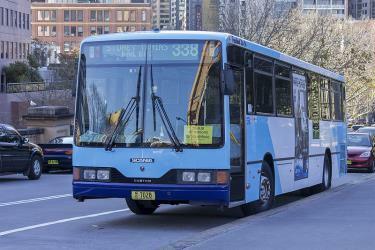 How do I get to Sydney (SYD) Airport from Campbelltown? 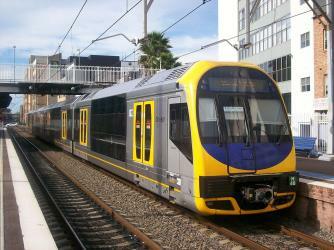 The best way to get from Campbelltown to Sydney Airport is to train which takes 45m and costs $18. Discover how to get to attractions and hotels near Kelso. The National Motor Racing Museum (NMRM) is located in the regional New South Wales city of Bathurst, approximately 200 km west of Sydney. The museum is situated adjacent to the Mount Panorama motor racing circuit at the end of Conrod Straight, close to the city. The Australian Fossil and Mineral Museum - Home of the Somerville Collection is located in the city of Bathurst in regional New South Wales Australia and was opened in July 2004. The collection is housed in a group of heritage buildings, the old 1874 public school buildings, in the centre of the city. Nearly 2000 specimens are on display from the internationally renowned Somerville Collection. Bathurst railway station is a railway station on the Main Western line in New South Wales. It serves the city of Bathurst. The Denison Bridge is a heritage-listed road bridge over the Macquarie River in Bathurst, New South Wales, Australia. It is the fourth oldest metal truss bridge existing in Australia. Rome2rio makes travelling from Campbelltown to Bathurst Airport (BHS) easy. Rome2rio is a door-to-door travel information and booking engine, helping you get to and from any location in the world. 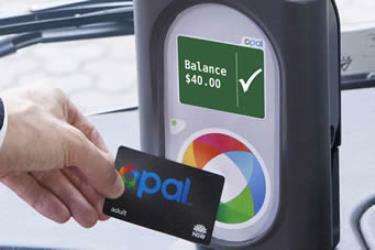 Find all the transport options for your trip from Campbelltown to Bathurst Airport (BHS) right here. Rome2rio displays up to date schedules, route maps, journey times and estimated fares from relevant transport operators, ensuring you can make an informed decision about which option will suit you best. Rome2rio also offers online bookings for selected operators, making reservations easy and straightforward.